These are turbulent times for Europe. The European debt crisis has dominated headlines, toppled elected leaders, and even called into question the survival of the Euro itself. In fact, not a day goes by without headlines screaming about the eurozone in crisis. But what are the key issues at stake? 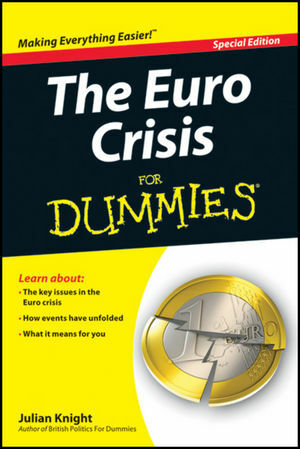 What exactly caused the crisis...and what might happen next? Julian Knight walks you through the issues and explains - in plain English - what the crisis means for you, and for the global economy. Julian Knight has worked as an editor at the Independent on Sunday since 2007. Previously, he was a reporter at BBC News, contributing to the BBC News website and Radio Five Live. He is also the author of British Politics For Dummies and The British Citizenship Test For Dummies.